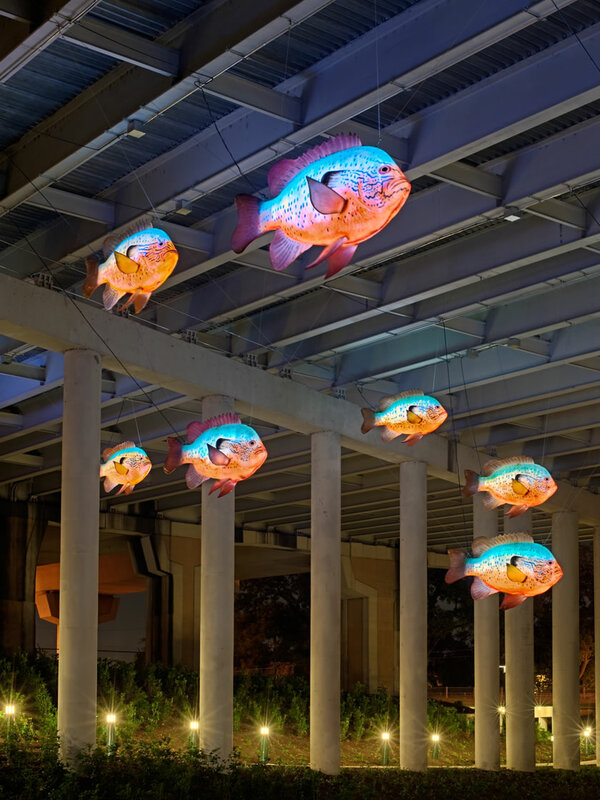 It’s hard not to smile at Philadelphia artist Donald Lipski’s school of giant fish swimming through the sky beneath the interstate overpass. The cluster of 25 seven-foot-long creatures of hand-painted fiberglass resin are anatomically correct models of long-eared sunfish, native to the river. 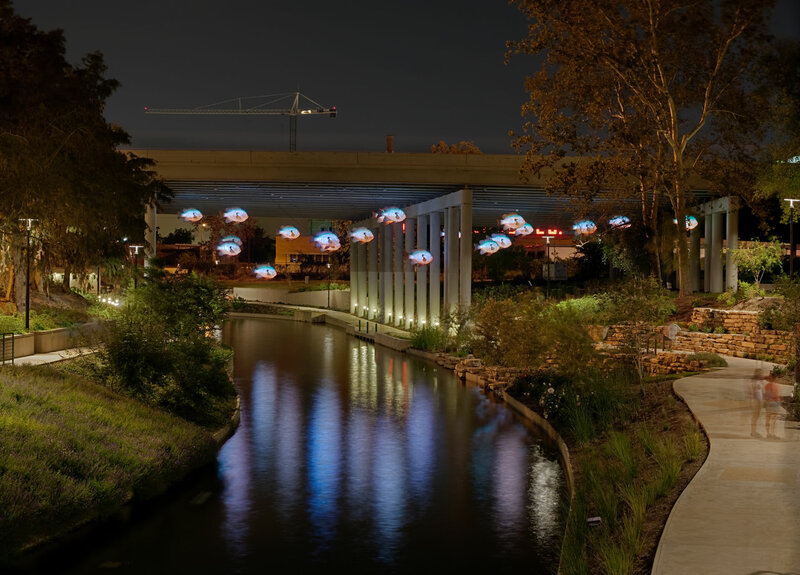 Impressive by day and stunningly lit from within at night, the glowing fish are a beacon from blocks away, adding color and levity to a once neglected downtown area. A 26th fish is on display in The DoSeum, San Antonio’s Museum for Kids, offering an up-close view of the installation’s vibrant detailing.